LUSU have announced their first General Meeting of the academic year. The two main issues that the FTO team will be bringing to the General Meeting for discussion are the cost of living and the college review. The cost of living discussion will be lead by President Laura Clayson and VP (Welfare) Mia Scott. The discussion will centre on what LUSU are doing to achieve the existing motion put forward in Union Council in Summer Term last year by former LUSU President Joel Pullan. This motion focuses specifically on three areas of cost of living: accommodation, bus passes and hidden course costs. In addition to the ideas in the existing motion, each FTO is focusing on an aspect of the issue of the cost of living in their remit. President Laura Clayson said she is working closing with JCRs and supporting them in order to get a campaign going and VP (Campaigns and Communications) Ronnie Rowlands will also be collaborating with JCRs as LUSU wants to conduct research within the colleges. VP (Union Development) Damon Fairley will be looking into how LUSU’s services contribute to the cost of living. In his role he will be focusing on how students can make a cheap healthy meal with things from LUSU Central. He said: “the idea is that in Central on one of the ends of an aisle, we have all the ingredients for a cheap healthy meal that tastes really good. So we’re trying to give students inspiration for cheaper meals.” He also said that he will be looking into issues of cost of living surrounding LUSU Living. In his role, VP (Education) Joe O’Neill will be looking at the hidden course costs, as put forward in the previous motion, and VP (Welfare and Community) Mia Scott will be working on ‘food is free’ and promoting Green Lancaster and the Eco Hub. Students will be encouraged to go and pick their own potatoes and get eggs from the chickens, for example. 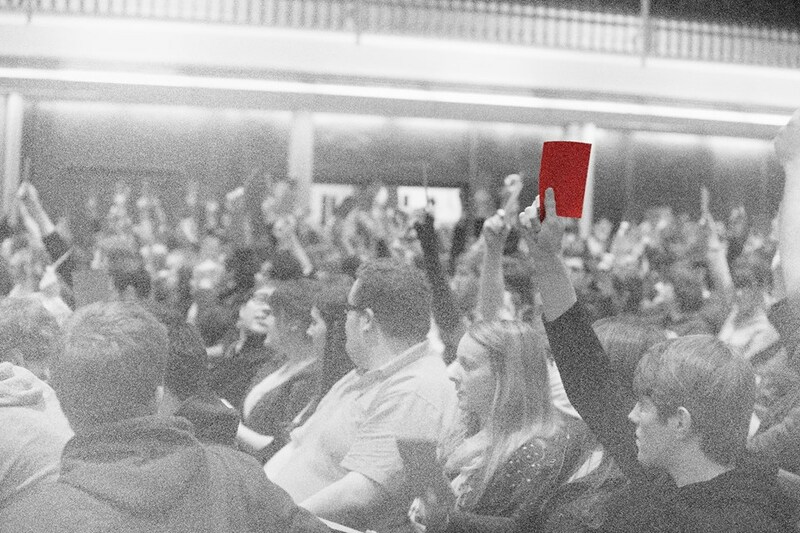 The other key topic of debate which will be put forward at the forthcoming LUSU General Meeting will be the looming college review. A discussion will take place to hear student responses in order to allow the Union to use feedback to address the concerns raised by all parties on the review panel. As well as the review panel itself, there will also be some impetus from key stakeholder meetings, such as a meeting between all College Presidents to discuss the review, which took place on Tuesday Week 5. According to the reference of terms for the upcoming review, its purpose is “to consider the effectiveness of the current College staffing structures and make recommendations for the future to enhance support and leadership in the Colleges.” This focus on College leadership is particularly important following recent decisions over two colleges, Bowland and Lonsdale, which are acting without their own College principals. Fairley agreed with this assessment that one of the key points of discussion would be the role of principals and how other staff members relate to the colleges. “I think they are looking at ways in which staffing in colleges works and support in colleges works. I think discussion will be based around the role of the Principal and how they can make that role more attractive to senior academics and professional staff. The original date set for the general meeting was Thursday Week 7, although this planned to change as it directly clashes with LUSU council that week. The link to the Facebook page for further information is here.